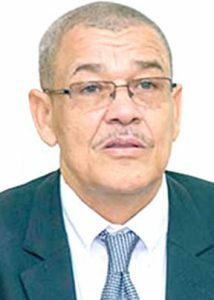 The Office of the Auditor General made note that the Guyana Revenue Authority (GRA) oversaw tax-exemptions to the tune of $64B in 2017, which is even more than the revenue foregone by the same mean in 2016. This note was made in the Auditor General’s latest report covering the fiscal year ended 2017. The report was handed to the National Assembly last Thursday. Auditors were keen to note that the value of revenue foregone for the year 2017 represents 37.52 percent of the actual revenue collections by the Authority. For the same period, Guyana’s debt grew by US$82M up from US$1.766B to US$1.848B. 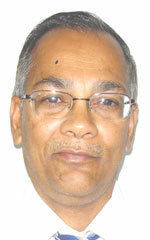 The debt could have been reduced had Guyana cut back on its tax exemptions. The Audit Office presented a table that provided overall details about the value of exemptions granted to eligible categories. The table below gives details of tax exemptions granted according to concession categories. The table indicated that tax exemptions granted to companies and businesses represented 57 percent equivalent to $36.4B of the total exemptions granted. Most of the exemptions were from businesses, mining investments through GGMC, and Investments through Go-Invest. However, the Audit Office noted that the total value of tax exemptions granted in respect of Investment Agreements facilitated through Go-Invest and GGMC could not have been determined. Audit Office said that a review of GRA records revealed that that there were 58 investment agreements; 55 were approved and three were denied during the year 2017. The report stated, “In the 2016 Auditor General’s Annual Report, Management assured that the IT Division is in the process of implementing a system that will facilitate a breakdown of the ‘Companies/Businesses’ category so that more informative reports can be generated. However, at the time of reporting in 2018, the Authority failed to provide these breakdowns. GRA acknowledgement of the comments of the Auditors was reflected in the report.